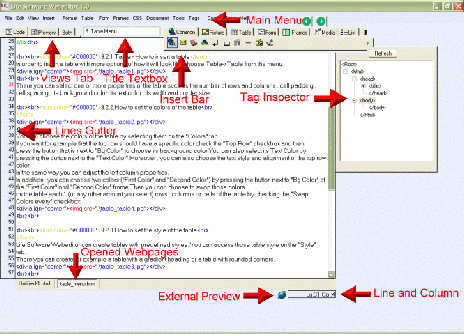 Free WebEditor also has many built-in wizards such as framesets wizard, cascading style sheets (css) wizard ,tables wizard, forms wizard and dropdown menu wizard. While editing the html code the user is able to have a live preview of the webpage. Other important features are Thumbnail Image maker, FTP Client , Code Snippets and Clipboard manager. Qweas is providing links to Free WebEditor 1.5.5 as a courtesy, and makes no representations regarding Free WebEditor or any other applications or any information related thereto. Any questions, complaints or claims regarding this application Free WebEditor 1.5.5 must be directed to the appropriate software vendor. You may click the publisher link of Free WebEditor on the top of this page to get more details about the vendor.